A week back Germany celebrated the 75th birth anniversary of their legendary striker, Uwe Seeler. The long serving captain for both club and country has always stayed loyal to his club. Even at the age of 75 his enthusiasm on football and Hamburg has not diminished one bit. When asked about a wish on the occasion, Seeler responded, ai?? ?health and a point for Hamburg against Leverkusen,ai??? as the two sides would meet on the very next day in Bundesliga. Here is a tribute to the legend, Uwe. 137 goals in 239 Bundesliga games. 509 goals scored in all competitions at club level. 43 goals scored in 72 International games. Top scorer in the inaugural Bundesliga competition. The first German Footballer of the Year (1960). He won the award in 1964 and 1970 as well. Seeler was the first player to have played 20 World Cup matches. His tally of 21 games is tied at third highest appearance in the World Cup. Seeler is the fastest player to score in four different World Cups, beating legendary Pele by a few minutes. He is the only player to have scored at least a couple of goals in four World Cups. He is ranked third in all time list of number of minutes played in the World Cup, behind Maldini and Matthaus. He was the first football player to be awarded the Great Order of Merit of the Federal Republic of Germany. Seeler joined Hamburg at the tender age of 9, following the footsteps of his father Erwin and brother Dieter Seeler. The one-club-man then went on to play for the Rothosens for the next 28 years, scoring goals in every club-level and international competitions. During his heydays, Seeler became the highest goal scorer in Hamburgai??i? ?s regional league six times between ai??i? ?56 and ai??i??62. Riding on his exploits, the Bundesliga-Dinosaurs went on to win the Northern German Championships a whopping nine consecutive times and also won the German national championship twice. Seeler, an early bloomer, earned his debut for the club in 1953, at the age of 16 against Gottingen 05 at the Rothenbaum Stadium. He described the experience in his own words, ai?? ?The opponent marking me was twice as big and heavy as I was. Even so, I played well and won a few headers.ai??? In the same year, Seeler represented Germany in FIFAai??i? ?s first sanctioned youth tournament of U-18 level and scored 15 times in ten games. Within a year, he earned a place in the side to play for the first time in the German Cup, a game which saw him register 4 goals in a 8-2 massacre of Holstein Kiehl. His heroics in the FIFA youth tournament did not unnoticed as the national coach Sepp Herberger considered to draft him in the squad for the 1954 World Cup as several of his regular players were down with jaundice. However, Seeler could not become a part of the miracle of Bern as the squad had already been registered. Seeler took the missed opportunity on his stride and soon he represented Germany in another youth tournament during this period, scoring 13 goals in 20 outings. Herberger kept tabs on his player of the future, and soon enough Seeler was seen representing the Mannschaft in Germanyai??i? ?s first international game since winning the 1954 trophy against France, at the age of 17 ai??i?? the beginning of one of the most illustrious careers of a German footballer. Seeler went on to play in four World Cups, the same ones in which even the legendary Pele took part in. Unlike Pele, Seeler never lifted the coveted trophy but came mighty close on three occasions. Barring the disappointments of Chile, ai??i? ?62, he has been a part of teams that finished fourth in the World Cup in ai??i? ?58, second in ai??i? ?66 and third in ai??i??70. In between, Hamburg finished as runners-up in Cup Winnersai??i?? Cup in ai??i? ?68 as well. Seeler became the captain of the national side in 1961 and retained the honor till 1970 with great aplomb. In an interview Seeler mentioned about his experience of making it to the first team to play in the World Cup in Sweden. 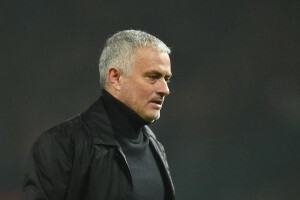 He was the second-choice striker for the team, but prior to the game the coach asked him to be ready for the game which came as a surprise to him. But he overcame his nerves and helped Germany secure a victory over Argentina in his first ever World Cup game, putting the ball behind the back of the net once. Two other games will always be remembered by the legend, the heart-break of ai??i? ?66 at Wembley and the semifinal against Italy in 1970. In ai??i? ?66 Seeler led the side to his first-ever World Cup final but could not cross the final hurdle. 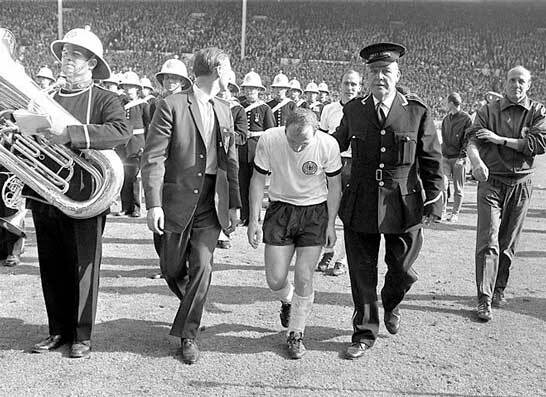 When fellow team-mates were on the verge of losing temper after the much debatable third goal scored by England, Seeler kept his cool and held the team back from violent protests. He ensured that the team does not lose the dignity with which they played so far in the tournament. There was also an interesting story behind a photograph taken during this game. That picture remains one of the most famous in German football history, rated as the Photo of the CenturyAi? ?by the KickerAi? ?football sport magazine. 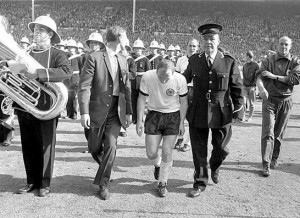 In that picture it appeared that Seeler was trudging from the field, head bowed, heartbroken by the loss at Wembley, and a band is sporting a stark contrast to the mood of the situation. Actually, the picture was taken during the break, pretty evident from the fact that it is the halftime big band who were accompanying Seeler. But the loss still hurts and it was evident when Seeler mentioned about it in a panel discussion in Freiburg in 2008, ai?? ?It was not a goal. Iai??i? ?m absolutely certain. The ball was not behind the line. But that doesnai??i? ?t matter anymore.ai??? ai?? ?For me, the best World Cup was in Mexico in 1970. I was almost 35 years old then and a lot of people were wondering what an old crock like me was doing in the heat of Mexico. Of course I prepared myself specially for this World Cup and, playing alongside Gerd Muller, everything went really well. Words cannot describe the emotions we experienced at that time, but I think we were a well-loved team.ai??? 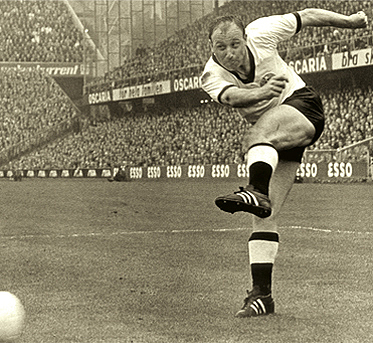 Uwe Seeler announced his retirement from international football in 1968. But later the then coach Helmut SchAi? ?n persuaded him to reconsider the decision as he thought the experienced campaignerai??i? ?s guidance could prove to be pivotal for the teamai??i? ?s benefit in the upcoming World Cup and so it was. Seeler, at the age of thirty-three, scored three goals in the tournament, which also included a famous back-headed goal against England in the quarter finals, his last goal in the international stage as he finally called it quits later on in the same year. He kept playing for Hamburg for a couple of years more. 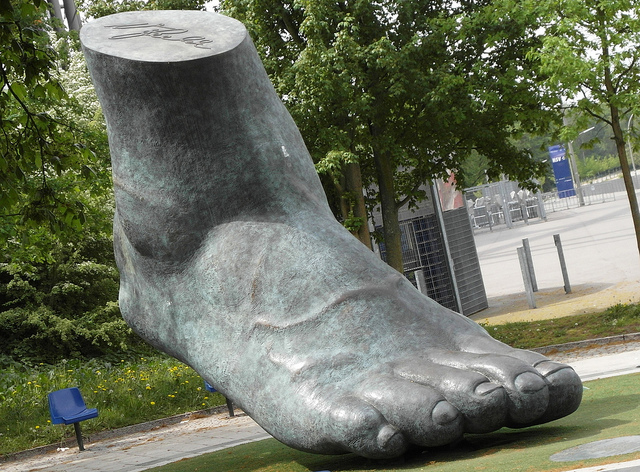 By the time he had decided to hang up his boots, he had already scored 507 goals for Hamburg in all competitions throughout his career, a feat unparalleled by any other fellow German footballer. But that was not all. Six years later, in the request of Adidasai??i?? representatives, he decided to play for Cork Celtic in an invitation match. What he did not know that in Irish league a club could register guest players to play in the league matches. It turned out to be an official match, but even though his club Cork Celtic lost heavily, he managed to score a couple of goals and despite many overtures from the club to keep him for the rest of the season, he finally succeeded in drawing curtains over an envious career. Due to his fairness, modesty, and kindness he is widely calledAi? ?as Uns Uwe i.e Our Uwe. Seeler, who played for a long time during the era of amateur football in Germany, worked on a second career as a merchant to secure his family financially. He would earn a meager 420 marks per month while playing in the Oberliga as in those days football stars in Germany did not earn the huge salaries seen now. Much was needed to be approved by the DFB ai??i?? such as bonuses and special payments. But he had his chances to earn money when Inter president Helenio Herrera came knocking on his door with a plum offer of 1.2m deutsche marks, a transfer which could have become one of the talking point of those days. But the lifelong follower of Hamburg stayed loyal to his home club and called off the negotiations on the very third day. A couple of years down the line, he would go on to win the DFB Cup by beating Borussia Dortmund 3-0 in the final, scoring all three goals in the game. What stood out is his loyalty for the club and its fansAi?? and to show that money is not the only motivator. In his own words, ai?? ?I’m an original Hamburger and they will always have a special place in my heart. I was born in Hamburg in 1936, my parents Anni and Erwin have always lived here. My wife Ilka grew up in Hamburg, our three daughters and the grandchildren are Hamburgers. Our family stands for Hamburg. I started with HSV at the age of nine. By the age of 16 I was in the first team in 1954, and I retired in the HSV shirt in 1972. I never once thought to leave Hamburg and the Alster river. That was known in Germany. No other club has ever tried to contract me. They knew they could well save their money rather than make an approach.ai??? Not a World Cup champion as a footballer, but he made his niche in the German football map. He is our man, Uns Uwe!